Is Cookie Dough Safe to Eat? 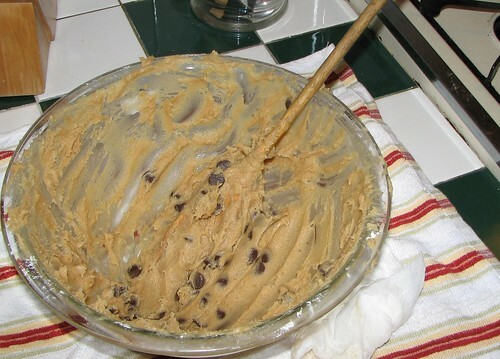 There’s nothing quite as exciting as a stolen bite of cookie dough fresh from the mixing bowl, but virtually everyone has heard the lecture about the dangers of raw cookie dough just as that delicious morsel hits the back of the throat. Is there any real danger in eating this delicious treat on occasion? Not all cookie dough is created equally. There’s a big difference between not only the types of cookies you’re baking, but also premade cookie dough you purchase in the refrigerated and frozen section of your local grocery store and that you make at home. Most store-bought dough is not safe for consumption in a raw state. Many of the packages even go so far as to say they’re not safe to eat before they’re cooked. Homemade dough, though, is another animal entirely, and there’s one big factor that can make it unsafe to eat raw: eggs. What’s So Bad About an Egg? The seventies were full of movies with athletes and fitness gurus drinking raw eggs as fast as they could get them down. Most notably, Rocky downed a pitcher full of raw eggs in 1976 on the big screen, but the bottom line is that they’re just not safe to eat. They can cause salmonella poisoning which can lead to diarrhea, fever, vomiting, or even cramps. In some cases, salmonella poisoning can even be fatal, particularly to children or the elderly. One USDA study reported that 16% of all US chickens are contaminated with salmonella. While the odds of contracting this condition are fairly low, just one in 30,000 people comes down with it each year, the risk is still very real, and even at its best, it’s not a pleasant problem. In addition to the risk of salmonella, though, consuming raw eggs can also block mineral absorption, which is certainly a danger to your health. Even if you create a dough that doesn’t include eggs, there could still be a risk when you eat raw cookie dough. A 2009 outbreak of E. Coli contamination was linked Nestle Toll House prepackaged cookie dough. Over 30 different states, 77 people became ill. Of those, 55 were hospitalized. Many of them noted that they had no intention of cooking it before they ate it. Eggs, though, weren’t the culprit. Eggs are typically associated with salmonella, not E. Coli. While the exact source of the contamination couldn’t be traced, officials suspected flour as the contaminant. Almost all of the other ingredients in the cookie dough underwent a step during processing to eliminate any possible pathogens. Flour, though, didn’t, and thus was a likely suspect. Outside of that investigation, though, raw flour has not been implicated in any recent disease outbreaks. If you’re searching for a great way to get your raw cookie dough fix without all of the dangers. These recipes can help. Mix carefully, spoon into balls, and enjoy! Combine all ingredients except chocolate chips and mix until well combined. Add chocolate chips, spoon into balls, and enjoy! It’s not always safe to enjoy those balls of cookie dough made with your favorite recipes, but with a few changes, you could be happily grabbing those cookie dough bites again soon! Image by cw3283 on Flickr. 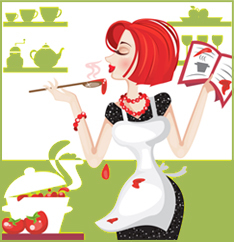 Pinkchic18 is an avid party planner and has a passion for baking. She also regularly contributes to Cookie Gift Baskets Blog. For cookie gift delivery, visit Cookie Gift Baskets’ website and shop today!